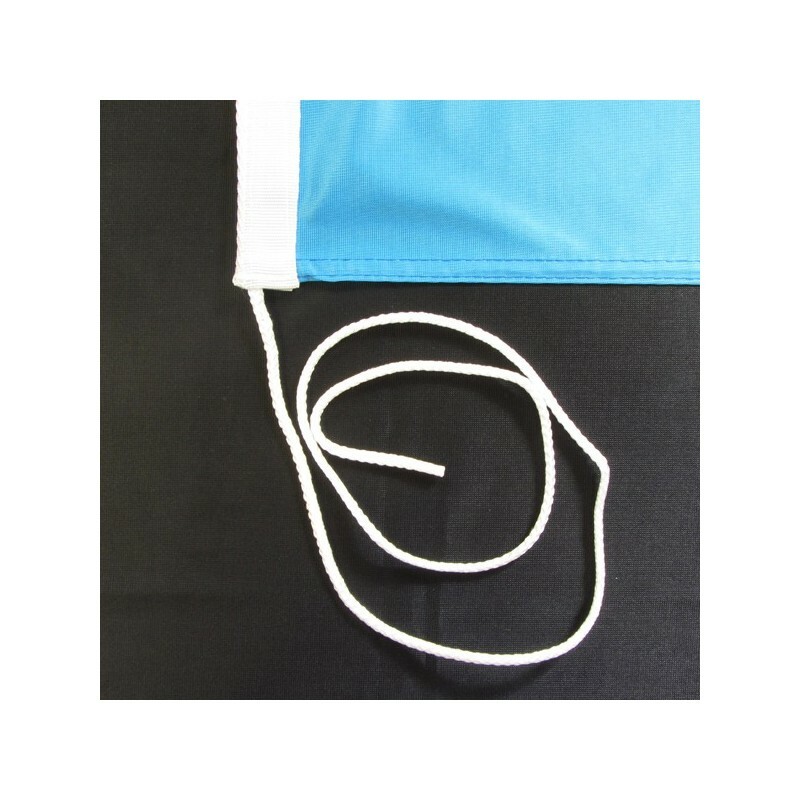 Kazakhstan's flag of nautical woven. 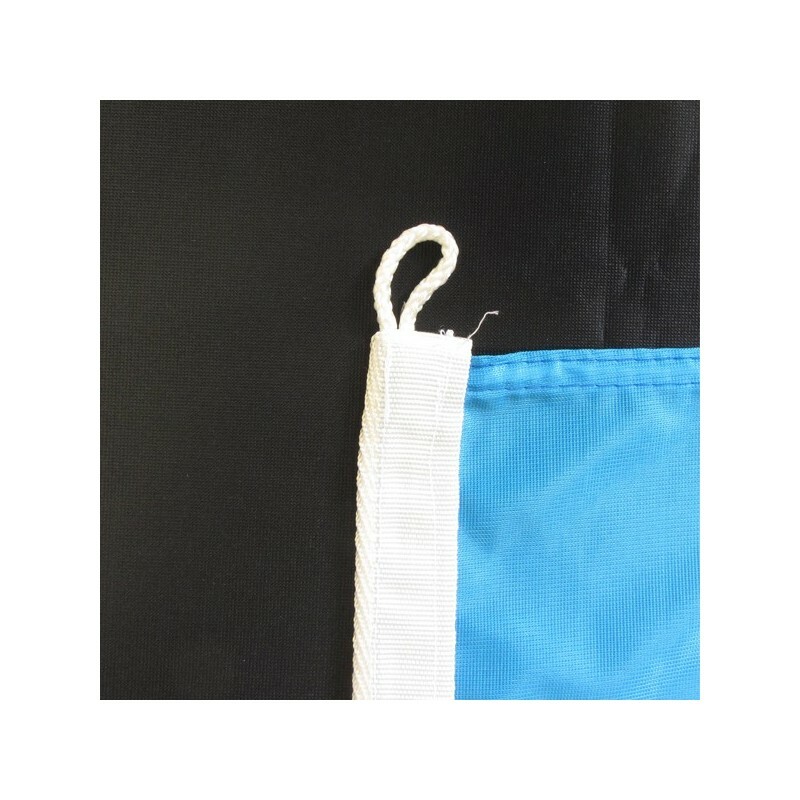 Flag of Kazakhstan of nautical polyester, for external use only, with digital print. 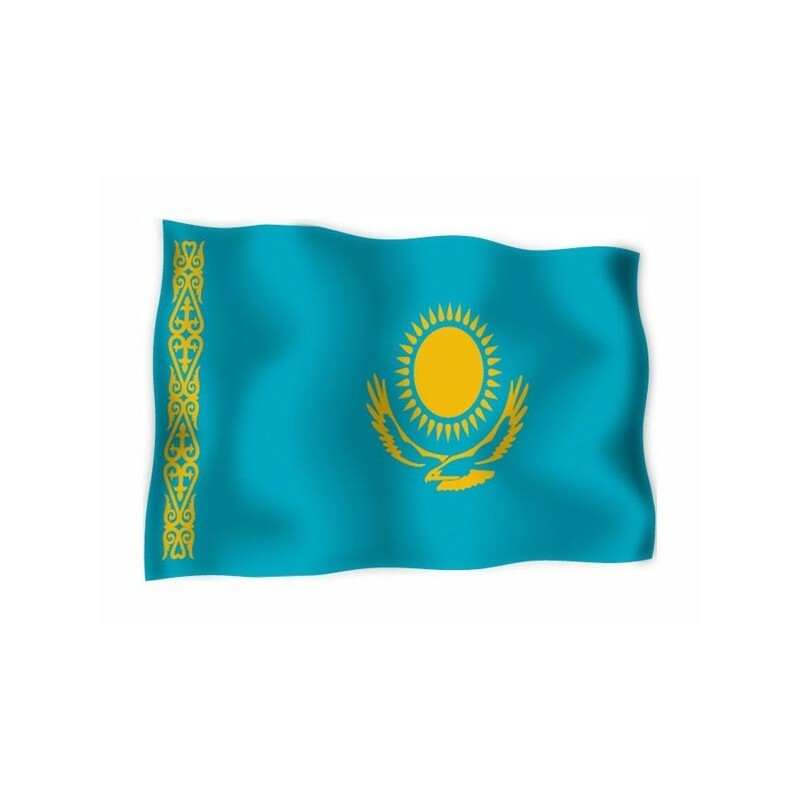 Since the 4 of June 1992 the National and civil flag of Kazakhstan consists of a light blue background with, at the core, an eagle under a golden sun with 32 rays. On the left side there is a vertical golden decoration. The light blue background symbolizes the sky which covers the people of Kazakhistan and also wellness, tranquility, peace and unity. The eagle is called “berkut” or “steppe eagle”, the decoration is typically National. The eagle and the sun together represent love, freedom and the Cossack’s aspiration. In 1700 Kazakhistan was conquered from Russia and it was the last and the larger republic which separated from URSS.